Buddhism in Mongolia has been influenced by Tibetan Buddhism. Traditional Mongols worshipped heaven (the «clear blue sky») and their ancestors, and they followed ancient northern Asian practices of shamanism, in which human intermediaries went into trance and spoke to and for some of the numberless infinities of spirits responsible for human luck or misfortune. In 1578 Altan Khan, a Mongol military leader with ambitions to unite the Mongols and to emulate the career of Chinggis, invited the head of the rising Yellow Sect of Tibetan Buddhism to a summit. They formed an alliance that gave Altan legitimacy and religious sanction for his imperial pretensions and that provided the Buddhist sect with protection and patronage. Altan gave the Tibetan leader the title of Dalai Lama (Ocean Lama), which his successors still hold. Altan died soon after, but in the next century the Yellow Sect spread throughout Mongolia, aided in part by the efforts of contending Mongol aristocrats to win religious sanction and mass support for their ultimately unsuccessful efforts to unite all Mongols in a single state. Monasteries were built across Mongolia, often sited at the juncture of trade and migration routes or at summer pastures, where large numbers of herders would congregate for shamanistic rituals and sacrifices. Buddhist monks carried out a protracted struggle with the indigenous shamans and succeeded, to some extent, in taking over their functions and fees as healers and diviners, and in pushing the shamans to the religious and cultural fringes of Mongolian culture. In Tibet Buddhism thus became an amalgam, combining colorful popular ceremonies and curing rituals for the masses with the study of esoteric doctrine for the monastic elite. The Yellow Sect, in contrast to competing sects, stressed monastic discipline and the use of logic and formal debates as aids to enlightenment. The basic Buddhist tenet of reincarnation was combined with the Tantric idea that buddhahood could be achieved within a person’s lifetime to produce a category of leaders who were considered to have achieved buddhahood and to be the reincarnations of previous leaders. These leaders, referred to as incarnate or living buddhas (see Glossary), held secular power and supervised a body of ordinary monks, or lamas (from a Tibetan title bla-ma, meaning «the revered one)». The monks were supported by the laity, who thereby gained merit and who received from the monks instructions in the rudiments of the faith and monastic services in healing, divination, and funerals. Tibetan Buddhism is monastic. By the beginning of the twentieth century, Outer Mongolia had 583 monasteries and temple complexes, which controlled an estimated 20 percent of the country’s wealth. Almost all Mongolian cities have grown up on the sites of monasteries. Yihe Huree (see Glossary), as Ulaanbaatar was then known, was the seat of the preeminent living buddha of Mongolia (the Jebtsundamba Khutuktu, also known as the Bogdo Gegen and later as Bogdo Khan), who ranked third in the ecclesiastical hierarchy, after the Dalai Lama and the Panchen Lama. Two monasteries there contained approximately 13,000 and 7,000 monks, and the prerevolutionary Mongol name of the settlement known to outsiders as Urga, Yihe Huree, means big monastery. Over the centuries, the monasteries acquired riches and secular dependents; they gradually increased their wealth and power as those of the Mongol nobility declined. Some nobles donated a portion of their dependent families—people, rather than land, were the foundation of wealth and power in old Mongolia—to the monasteries; some herders dedicated themselves and their families to serve the monasteries either from piety or from the desire to escape the arbitrary exactions of the nobility. In some areas, the monasteries and their living buddhas (of whom there were a total of 140 in 1924) also were the secular authorities. In the 1920s, there were about 110,000 monks, including children, who made up about one-third of the male population, although many of these lived outside the monasteries and did not observe their vows. About 250,000 people, more than a third of the total population, either lived in territories administered by monasteries and living buddhas or were hereditary dependents of the monasteries. With the end of Chinese rule in 1911, the Buddhist church and its clergy provided the only political structure available, and the autonomous state thus took the form of a weakly centralized theocracy, headed by the Jebtsundamba khutuktu in Yihe Huree. When the revolutionaries—determined to modernize their country and to reform its society—took power, they confronted a massive ecclesiastical structure that enrolled a larger part of the population, monopolized education and medical services, administered justice in a large part of the country, and controlled a great deal of the national wealth. The Buddhist church, moreover, had no interest in reforming itself or in modernizing the country. The result was a protracted political struggle that absorbed the energies and attention of the party and its Soviet advisers for nearly twenty years. As late as 1934, the party counted 843 major Buddhist centers, about 3,000 temples of various sizes, and nearly 6,000 associated buildings, which usually were the only fixed structures in a world of felt tents. The annual income of the church was 31 million tugriks, while that of the state was 37.5 million tugriks. A party source claimed that, in 1935, monks constituted 48 percent of the adult male population. In a campaign marked by shifts of tactics, alternating between conciliation and persecution, and armed uprisings led by monks and abbots, the Buddhist church was removed progressively from public adm]inistration, was subjected to confiscatory taxes, was forbidden to teach children, and was prohibited from recruiting new monks or replacing living buddhas. The campaign’s timing matched the phases of Josef Stalin’s persecution of the . In 1938—amid official fears that the church and monasteries were likely to cooperate with the Japanese, who were promoting a pan-Mongol puppet state—the remaining monasteries were dissolved, their property was seized, and their monks were secularized. The monastic buildings were taken over to serve as local government offices or schools. Only then was the ruling party, which since 1921 gradually had built a cadre of politically reliable and secularly educated administrators, able to destroy the church and to mobilize the country’s wealth and population for its program of modernization and social change. Since at least the early 1970s, one monastery, the Gandan Monastery, with a community of 100 monks, was open in Ulaanbaatar. It was the country’s sole functioning monastery. A few of the old monasteries survived as museums, and the Gandan Monastery served as a living museum and a tourist attraction. Its monks included a few young men who had undergone a five-year training period, but whose motives and mode of selection were unknown to Western observers. The party apparently thought that Buddhism no longer posed a challenge to its dominance and that— because Buddhism had played so large a part in the country’s history, traditional arts, and culture, total extirpation of knowledge about the religion and its practices would cut modern Mongols off from much of their past, to the detriment of their national identity. A few aged former monks were employed to translate Tibetan-language handbooks on herbs and traditional medicine. Government spokesmen described the monks of the Gandan Monastery as doing useful work. Buddhism, furthermore played a role in Mongolia’s foreign policy by linking Mongolia with the communist and the noncommunist states of East and Southeast Asia. Ulaanbaatar was the headquarters of the Asian Buddhist Conference for Peace, which has held conferences for Buddhists from such countries as Japan, Vietnam, Cambodia, Sri Lanka, and Bhutan; published a journal for international circulation; and maintained contacts with such groups as the Christian Peace Conference, the Afro-Asian People’s Solidarity Organization, and the Russian Orthodox Church. It sponsored the visits of the Dalai Lama to Mongolia in 1979 and 1982. 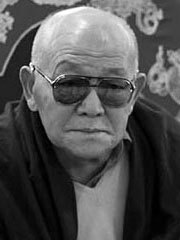 The organization, headed by the abbot of the Gandan Monastery, advances the foreign policy goals of the Mongolian government, which are in accord with those of the Soviet Union. This article incorporates public domain text from the Library of Congress Country Studies.